HOW it is now 2018 i do not know! Like where did the time go? Honestly. The past year seemed to fly by and i wish everything would just slow down tbh. ANYWAYS i thought i would share with you some of my goals that i’m setting myself for the year. Try and be more out there with style. Since i am basically at sixth form every single day i never really change up my outfits and often I find myself just repeating the same outfits over and over again. HOW BORING. So this year i really want to try and experiment more with my style and push my self out of my clothing comfort zone. I’m basically just gonna where WHATEVER i bloody want to and try things i haven’t been confident enough to where before. Blogging. I want to try and post more regularly on my blog. Since i started it in October 2017 i haven’t really made much progress or made as many posts as i aimed to. SOZ. 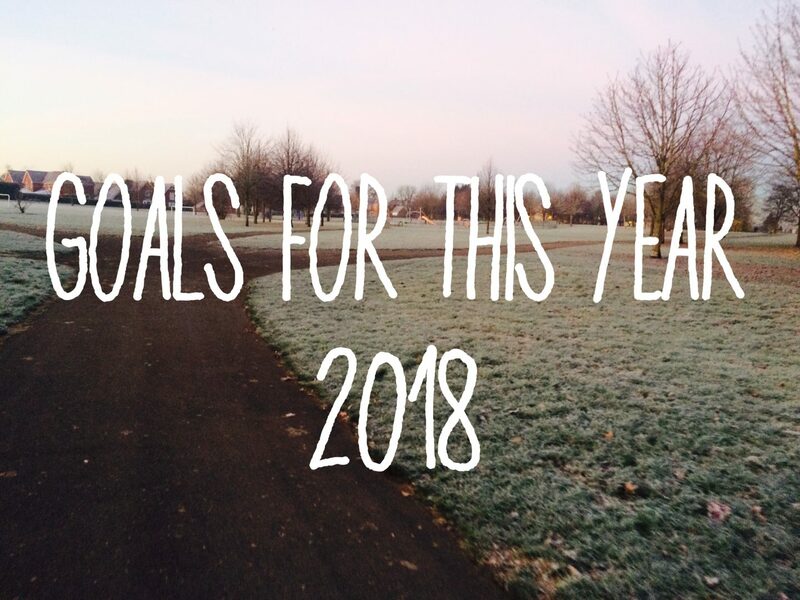 So my goal this year is to try post more frequently which will probably be a lot easier once i finish sixth form in the summer. But anyhow i am going to TRY hard to get up some more posts as i do really enjoy writing them. Exams. I am currently in year 13 and so am set to sit my A Levels in a few months. HELP! I do really struggle at sixth form and am finding it hard to balance everything. So this year my goal is to just do the best i can, and try my absolute hardest. Lets hope i get decent grades as well that would be fab. BUT regardless as long as i try my best i’ll be happy. LETS HOPE ANYWAYS LOL. Money money money. I want to save up as much money as i can this year. Now, OF COURSE i’m going to spend some like i cannot go a year without a online shop or two… or 10. HAHA. But i am going to attempt to save some money each month as when i do finally finish sixth form i want to start having some driving lessons and things. Confidence. This past year has been big for me in terms of confidence. I have worked hard on my confidence this year and i have really made progress. Although to others it may not be super noticeable, to ME its been a massive gain. One of the major contributing factors this year has been my Christmas temp job, which over the last two months of 2017 really made a massive difference. The people i worked with were ABSOLUTE BABES and the whole retail environment forced me into something which i wasn’t comfortable with. Now i still struggle with my confidence and of course it isn’t going to just suddenly be super easy talking to strangers and whatever else but i have made massive improvements and for that i am SO PROUD of myself!! So my goal for 2018 is to just keep working on my confidence and bettering myself. So 2018 I CANNOT WAIT ! Although it may be hard (when is life not) i also hope that it is a super rewarding and fun year!! Wishing you all the best for 2018! !